In its invite to technology journalists in the Philippines, the company has revealed that the Samsung Galaxy A80 and Galaxy A70 will be unveiled on the 10th. 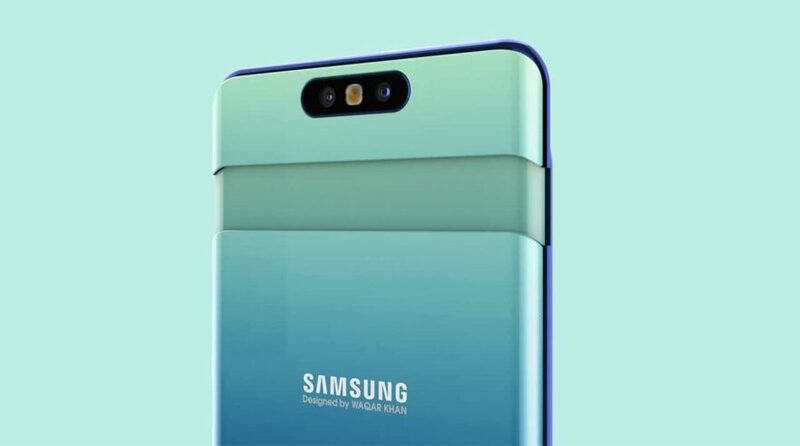 The A80 may actually be the Samsung Galaxy A90 smartphone with a rotating slider camera that we’ve heard so much about. A report out of the Netherlands says they have uncovered a page on the Samsung Cine Club website listing the Galaxy A80 as part of a promotion. The model number is SM-A805F, the same one seen benchmarked on HTML5test. That benchmark shows that the device’s screen has a cinematic aspect ratio of 20:9 and could measure 6.7 inches and have a resolution of 2,400 x 1,080. Word has it that the Samsung Galaxy A80’s camera system — the handset’s highlight — consists of a 48-megapixel, f/2.0 main; 8-megapixel, f/2.4 secondary; and f/1.2 time-of-flight sensors. It’s supposed to feature a Qualcomm Snapdragon 7150 processor, a 3,700mAh battery with support for 25-watt charging, and a metal-and-glass build. Is it indeed the Galaxy A90, or will the latter just make a surprise appearance at the launch? We’ll know in two days. The other smartphone that will be showcased, the Samsung Galaxy A70, has been announced about two weeks ago, so what we’re looking forward on April 10 are the pricing and availability details. In case you don’t remember, the Galaxy A70 sports a 6.7-inch, 20:9 display, too. There’s a rounded notch at the top of the panel for the 32-megapixel selfie camera and a fingerprint sensor under it for convenient unlocking. It features a triple-sensor camera system on the back, with the 25-megapixel main camera joined by an 8-megapixel ultra-wide-angle shooter and a 5-megapixel depth sensor for bokeh. The battery is 4,500mAh and supports 25-watt fast wired charging. Samsung hasn’t mentioned the name of the octa-core processor the unit uses, but we do know that it’s paired with 6GB or 8GB RAM and 128GB of expandable storage. It’s also running Android 9.0 Pie-based Samsung One UI.